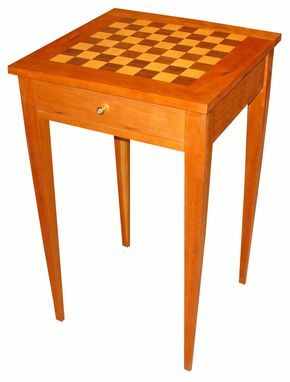 This end table will function in any room and also serve as a chess table The surface is chequered with maple and walnut . The drawers are dovetailed and finished with a French bottoms. A dust pannel covers the underside of the drawer . 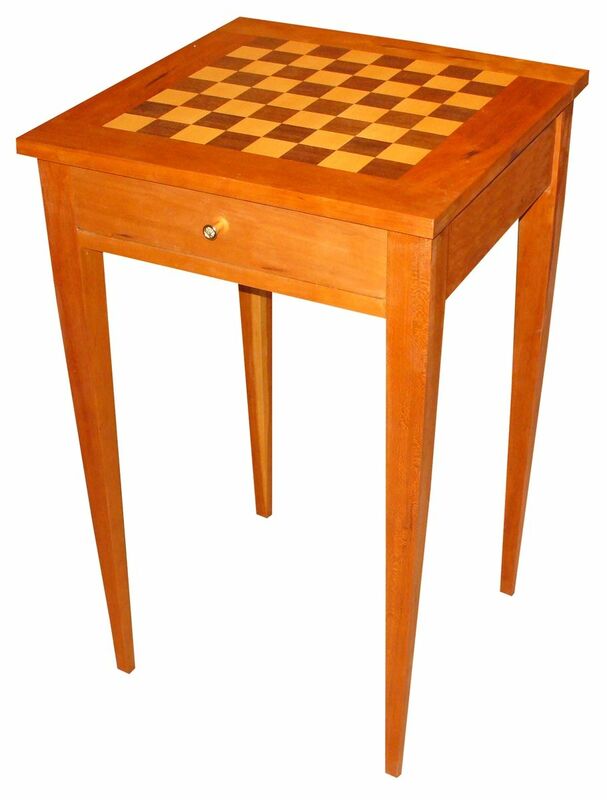 The legs are tapered to give this table an elegant look.